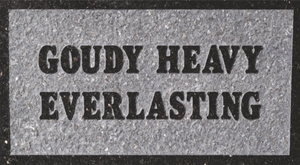 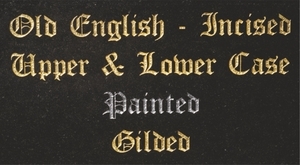 Here are a selection of lettering style’s (fonts) more commonly used when inscribing memorials, when choosing a colour to go with your choice of material it is worth bearing in mind that light colours do not stand out on light materials, and of course the same applies for the dark colours on dark materials, in essence you require a good contrast. 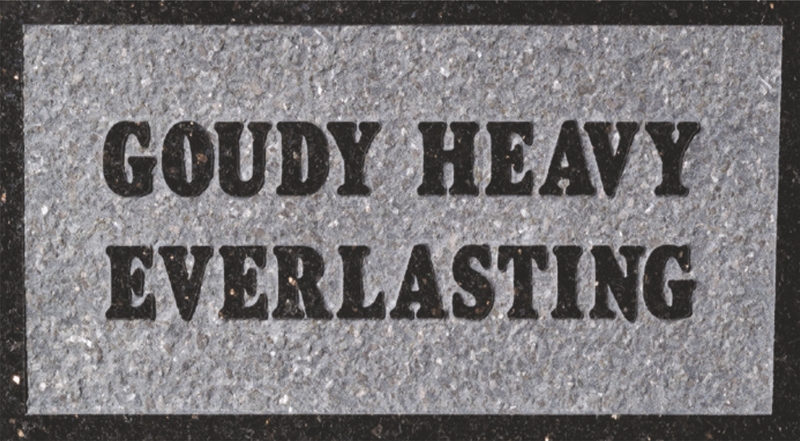 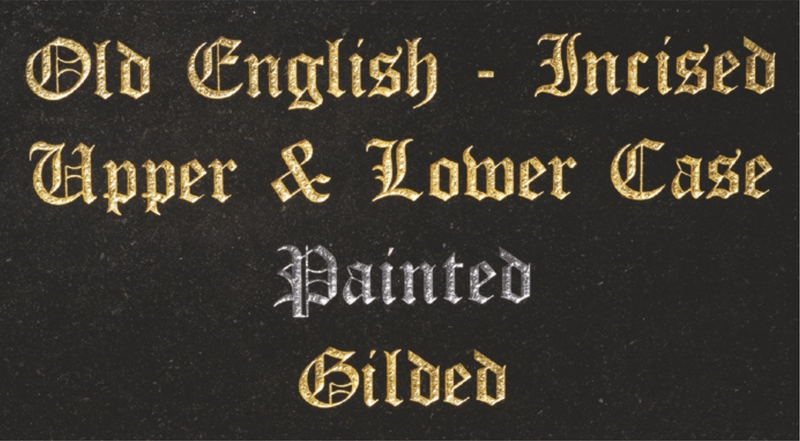 Cut into the stone and painted or gilded as required. 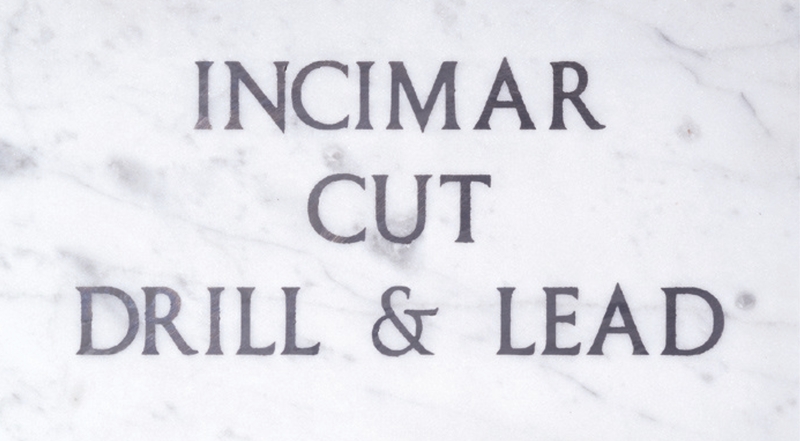 This font is used for hand cut only, which gives you the more traditional V cut shape. 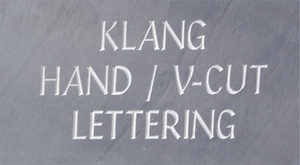 The background area is removed leaving the letters raised in a panel, they are virtually maintenance free. 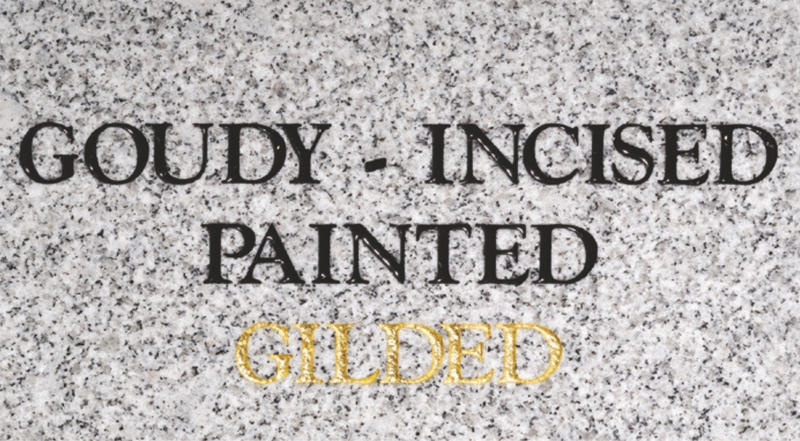 Cut into the stone and painted or gilded as required. 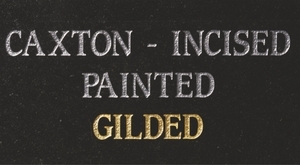 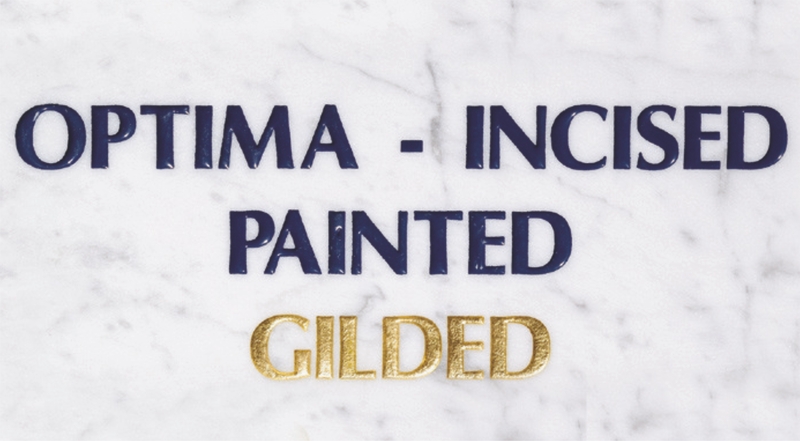 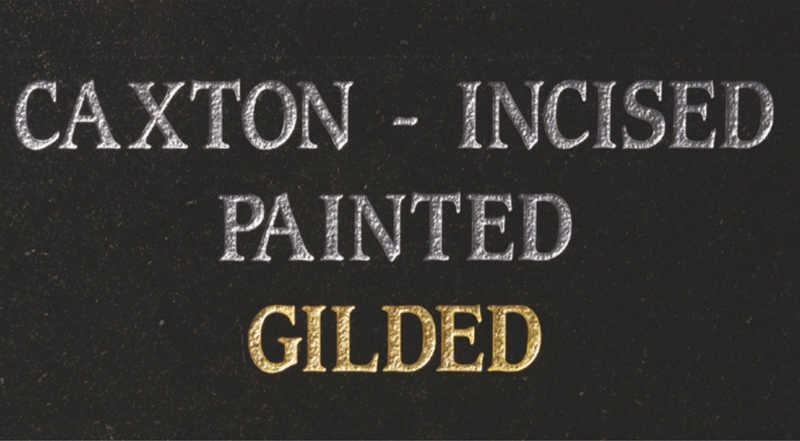 Plainly shows that gilding on light coloured stone does not give the contrast required. 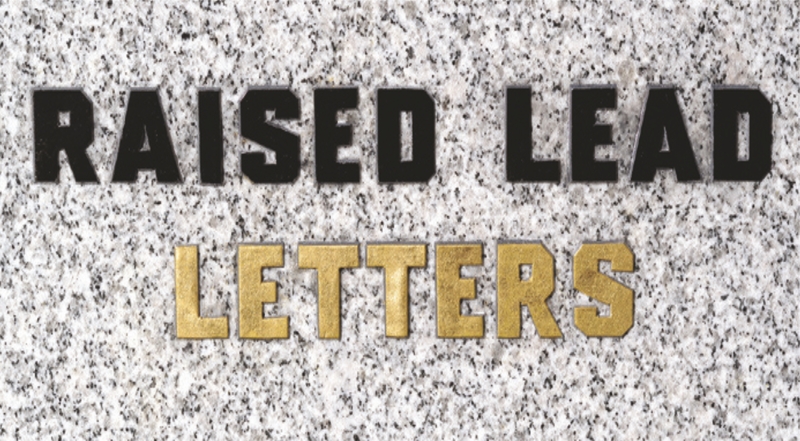 Raised lead, theses letters stand proud on the surface of the stone, this method is most commonly used on granite and very hard stones. 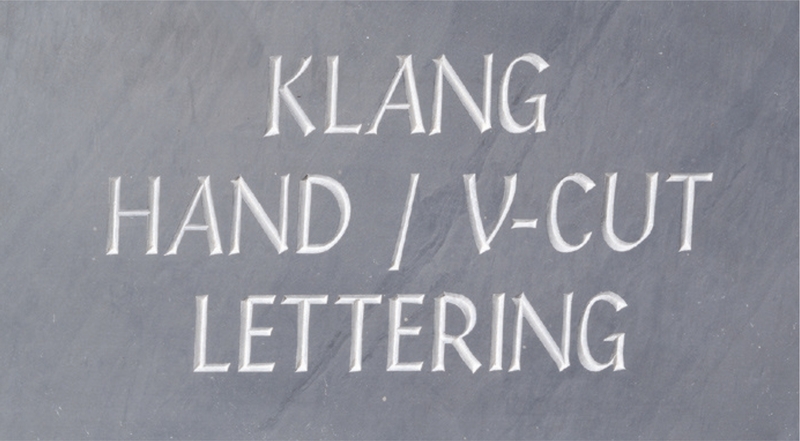 They are not stuck on. 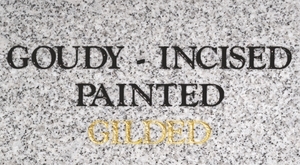 Firstly holes are drilled into the stone behind the letters, the lead is then beaten on to the stone and as it is soft, a proportion of it is pushed into the drill holes, this in turn acts as an anchor to hold the letters in place, the remaining surface lead is then trimmed to shape as required. 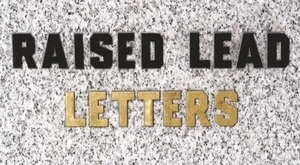 Drill and lead, the method is similar to raised lead, save that the letter is cut into the stone first, then drilled into, lead is beaten into the letters, the excess is removed to leave a flush finish to the stones surface. 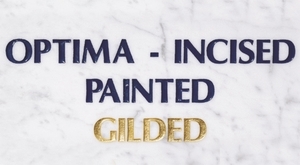 Very commonly used on marble and limestone of a consistent structure, softer stones are usually composite filled (cement) to alleviate damage that would be caused by beating the lead into it. 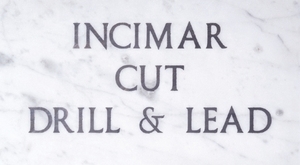 This method is not suitable for granite.